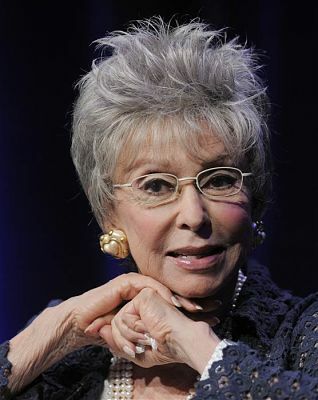 In this Aug. 7, 2013 file photo, actress/singer Rita Moreno speaks in Beverly Hills, Calif. A list of six Kennedy Center honorees were announced Wednesday, which includes “Star Wars” creator George Lucas, groundbreaking actresses Rita Moreno and Cicely Tyson, singer Carole King, rock band the Eagles and acclaimed music director Seiji Ozawa. 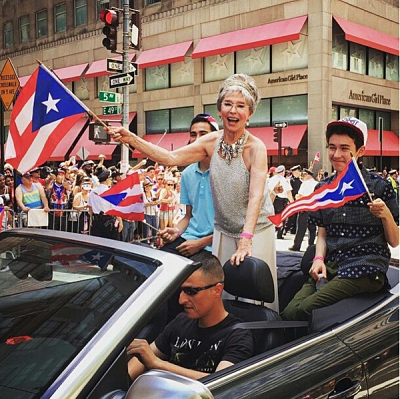 Chris Pizzello / AP Moreno has more than earned this distinction; she is one of only 12 artists who have ever won an Emmy, Grammy, Oscar, and Tony, as well as the first Hispanic to have won all four awards. As a result, the Kennedy Center went through revisions regarding its selection process and two Latinos, Carlos Santana and opera singer Martina Arroya, were honored in 2013. Other 2015 recipients announced on Wednesday include The Eagles, Carole King, George Lucas, Cicely Tyson and Seiji Ozawa. The event will be broadcast on December 29, 2015 by CBS.